Mid 2017 a friend was over and we were visiting in the shack when he mentioned he had filed for a new vanity call. Looking at the list of upcoming zero calls on the AE7Q web site I noticed NJ0J was coming available in the fall. As my initials are JJD this call caught my eye and resulted in several weeks of consideration should I change my call after 30 years? Why not was my eventual answer which started me down the journey which eventually led to the assignment of KE0U. On the journey I learned many lessons which I wanted to pass on to others contemplating a change. The vanity process while at times frustrating is the process we all use and as such are all subject to the strengths and weaknesses of the system. Regardless if you are a newbie or an old hand at the vanity process it can be a frustrating or pleasant process depending on your luck. 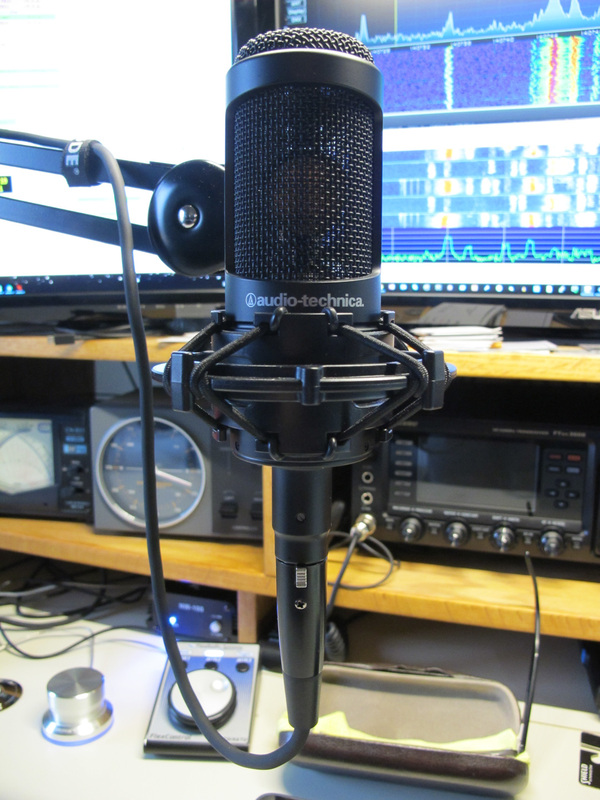 In addition to the FCC ULS web site the only other resource you need is the excellent web site provided by Dean Gibson AE7Q. If you are unfamiliar with the vanity call sign process I would recommend starting on the explanatory notes page at the AE7Q site. One only need look at a few of the desirable 1×2 or 2×1 calls to observe the significant number of badly timed applications. As the applicant there are only two aspects of this process which are in your control 1) what vanity call sign you apply for and 2) when you apply for it. Sounds simple yes, a perusal of vanity call sign requests will provide plenty of examples of still active calls, mis timed applications, insufficient grade and other avoidable errors. My initial vanity application for NJ0J was going well with only two valid applicants going into the a drawing round. Alas I did not prevail and the call was assigned to a Colorado ham who much like I had decided it was time to change his call after 30 years. As I had mentally moved past any doubt that I was going to change calls it was time to make a plan. Step one define the objective, NJ0J was a zero call, should I confine my search to zero land or expand to other call districts? Having grown up in northern Illinois I added the 9 calls on a case by case basis to my list of acceptable candidates. With the scope defined, my next task was to review the upcoming availability and have an in advance plan of which calls to apply for. While the AE7Q site is great for many things it does not natively present a date ordered list of availability. Simple task to cut and paste the list from the site, dump into excel add a few columns for additional detail and sort on the availability date. I took the resulting sheet saved it to my Onenote account which syncs across my pc, tablets and phones. Regardless of where I was I could quickly determine if there was an application to be made on a particular day. A day or so after an application I would check what the level of competition and update the tracking sheet. I woke up to an email informing me of the award with a link to an official copy of the license in PDF form. What is funny about this is for each loss I received letter informing me of the dismissal, as a memento of the effort I have a stack of dismissals. I do not expect a physical license in the mail. I double checked at AE7Q.com and my old license was cancelled and the new active. 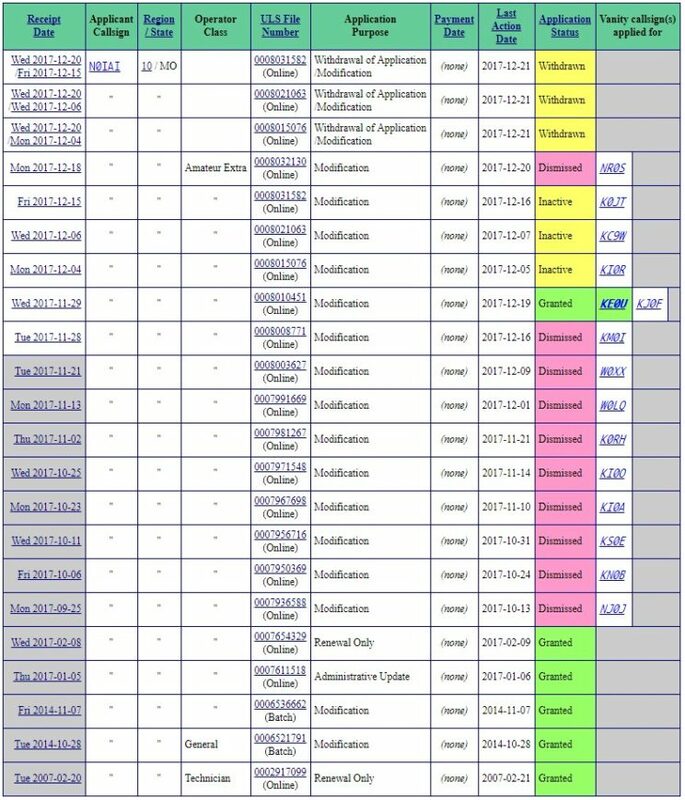 The above tracking list is truncated, referring to the application history below I started this process at the end of September and my 10th application spit out a winner on December 18th just a few days short of 3 months. Along the way I saw folks win on their first ever application, I saw folks win after months and many bad applications and after finally figuring out how to apply the correct date. And I lost races with just two runners, races with brand new first time extras and first time applicants. It is a lottery and anyone can win! Once your new call is awarded depending on what aspects of the hobby you participate in. You will have tasks to perform to update your call everywhere else. I spent a couple of hours sending emails, updating websites which did not pick up the change automatically. The following is my list, yours will vary. In closing I am happy with the change, KE0U is easier to say than my previous call and hopefully easier to understand as well. Under poor conditions the two i’s would often get concatenated. Less than a week in the frequency at which I slip out the old call is reducing and after a couple of months I expect it will stop completely.